This morning I woke up with a distinct urge to watch the first episode of The Tonight Show with Jimmy Fallon. As an American living in France for the past years, I still hang on to a few American shows & stars, and Jimmy Fallon, whether on Saturday Night Live, Late Night with Jimmy Fallon, or, as of today, the Tonight Show, has been a staple of my continued connection to the motherland. I jumped on NBC’s site to wate a few segments, only to be greeted with the two-second “this content is not available in your country” audio clip that reminds me every day just how broken the online video industry is. Essentially, because NBC isn’t making advertising money off of me (as a person in France) watching the video, they have no incentive to show it to me, so they don’t. That is, until I turned on ZenMate. 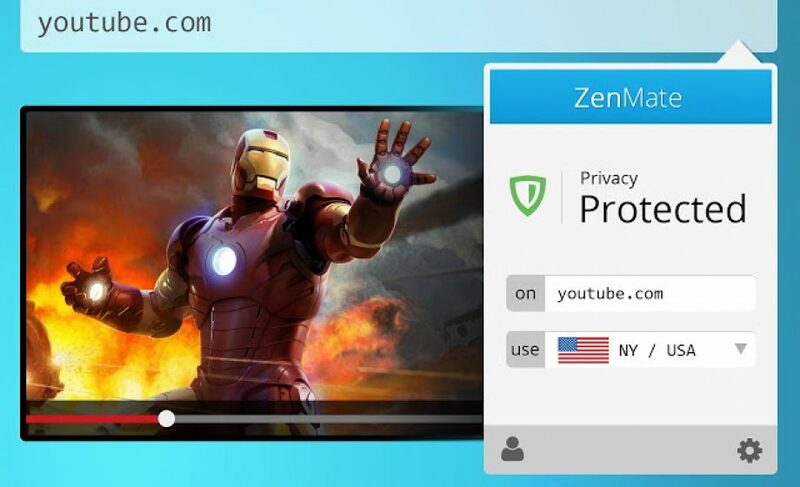 ZenMate is a browser extension (for me, Chrome) which allows you to choose where your browser is detected to be coming from – essentially, it’s a VPN built into your browser. For those of us looking to use Hulu, Netflix, or watch some brand content on YouTube, this is indispensible just to get to the point where we can stop stealing video, which isn’t available to us. Once I installed the extension (two clicks), a pop-up allowed me to set up a user login & password, and then I just chose their New York network in order to be sure to be able to view my New York shows, and I reloaded the page and watched Jimmy Fallon get his hip-hop groove on with Will Smith. The video industry, both online & TV, is broken – content starts from the understanding that it is restricted only to those of us for whom the owner of that content has found advertisers, or in the case of Netflix, in those countries where it knows it is abiding by national laws. In this case, one might say that ZenMate should be illegal – after all, it is aiding me in using Netflix, which does not abide by France’s content laws to date – however, in the wake of recent debates over browser security and surveillance, ZenMate has a found the perfect positioning as the defender of safe browswer viewing. When I first found ZenMate, I thought “do I really need this? I’ll just download whatever I want to watch” and then I hit a wall – ZenMate was the solution to that wall, and I see no reason why this shouldn’t be built directly into Google Chrome. The Berlin-based startup just crossed 1 Million users, of which more than 60% ar based in Asia – you can imagine that wherever internet browsing is the most restricted, users seem to be naturally finding ZenMate. Excellent. I also use a VPN to watch Netflix/Amazon Instant Video or the BBC. TV broken indeed. Hola is another similar extension. I have not compared them, so I’m not sure how they differ, but have successfully used Hola to watch the Olympics from CBC.